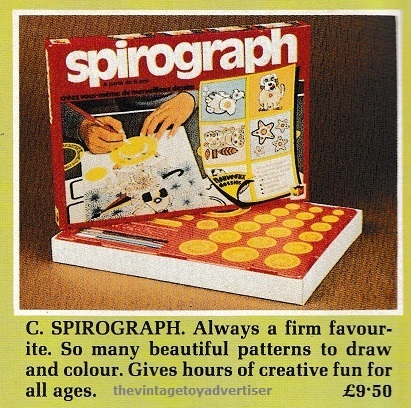 Developed by Denys Fisher in England in 1965, Spirograph is a creative design toy that uses gears, wheels and a pen to create 2D geometric patterns. 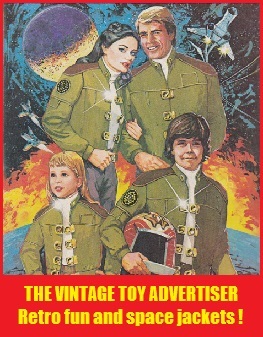 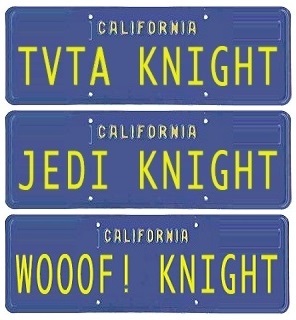 The first sets were sold in the US by Kenner and soon became popular. 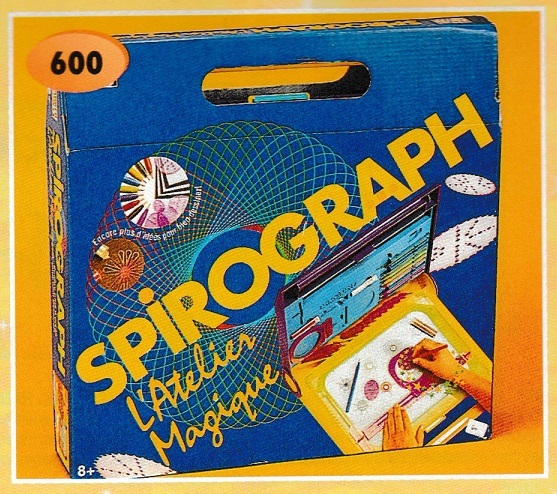 Many different types of Spirograph sets have been sold around the world and continue to be sold today. 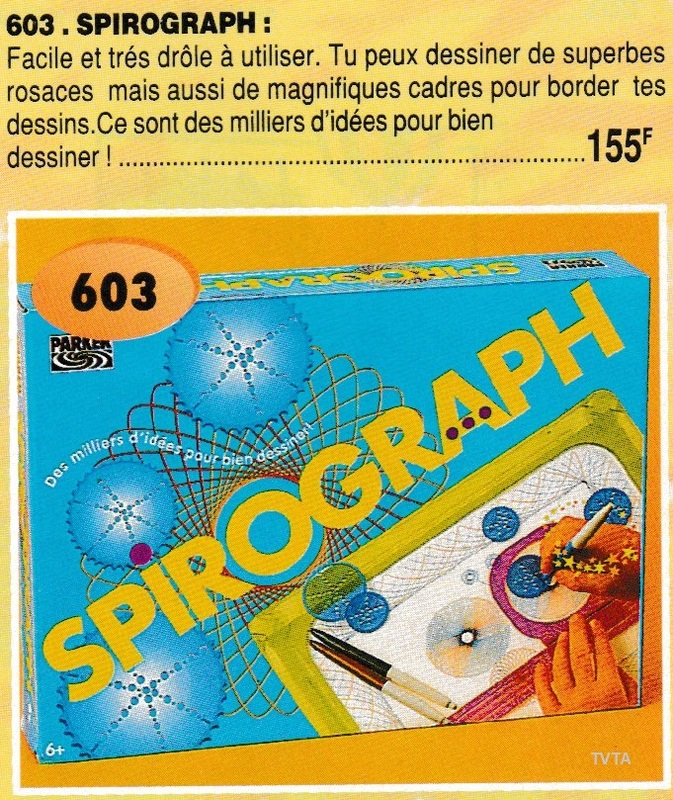 Sam’s Toy Box has some great Spirograph sets. 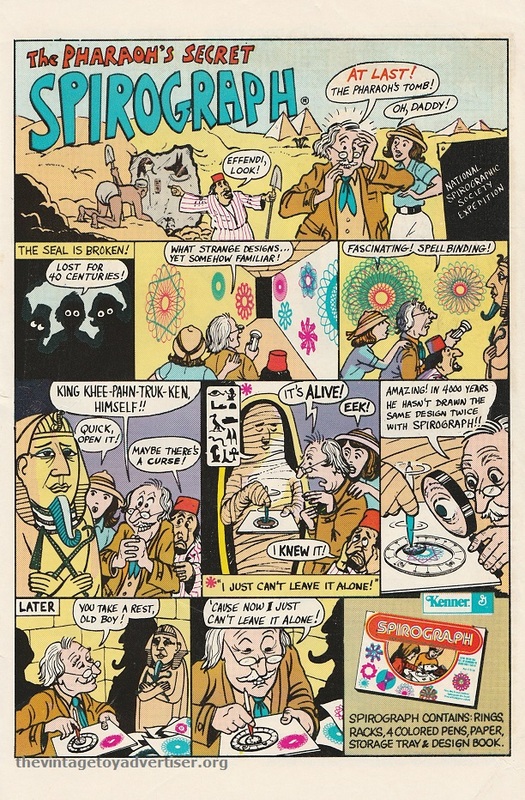 This entry was posted in SPIROGRAPH and tagged 1970s drawing sets, 1970s toys, Kenner Spirograph, old toy adverts, spirograph, Spirograph 1990s, spirograph adverts, toys, vintage art and design toys, vintage toy advertisements, vintage toy adverts, vintage toys on August 17, 2015 by The Vintage Toy Advertiser.